A Spencer County non-profit organization is using horseback riding to help disabled individuals of all ages. Stir-N-Up Hope offers programs that provide benefits for those with mental and physical disabilities. The programs can be changed to accomodate any disability, and they even have a wheelchair ramp to help get some riders onto the horses. 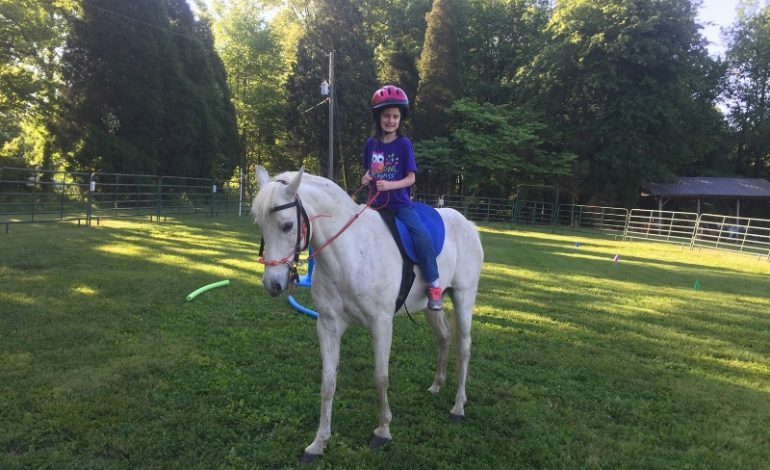 Founder Kelly Epperson said horseback riding gives these people a feeling of accomplishment and increases confidence, while relieving various sensory issues. Some of the exercises that riders can do at Stir-N-Up Hope increase balance and exercise muscles for those that may have trouble getting around on their own. Epperson said the horses allow those with disabilities to do things and go places that they wouldn’t normally be able to. Stir-N-Up Hope has also been working with the Evansville Psychiatric Children’s Center and is working towards becoming a part of the special needs curriculum in school systems. For more information, visit Stir-N-Up Hope.